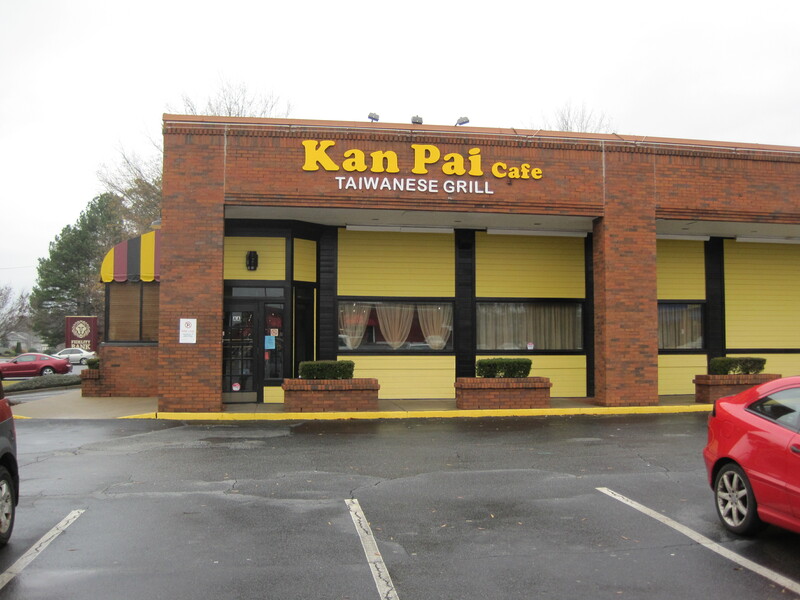 Seen on Holcombe Bridge near the merge with Jimmy Carter, in the same spot where a Black Eyed Pea stood some 15 years ago, is a new Taiwanese eatery. It’s not quite open yet, but the bright yellow color scheme makes it stand out. I know of one other Taiwanese eatery, and that’s the Bento Cafe, in the same strip mall as Kokai Thai, just east of Jimmy Carter and I-85 in Norcross. It will be interesting to compare the two when this thing opens. Bento was a place I’d eat at regularly three-four years ago, when I was working in Norcross. I now have a review of Bento Cafe. 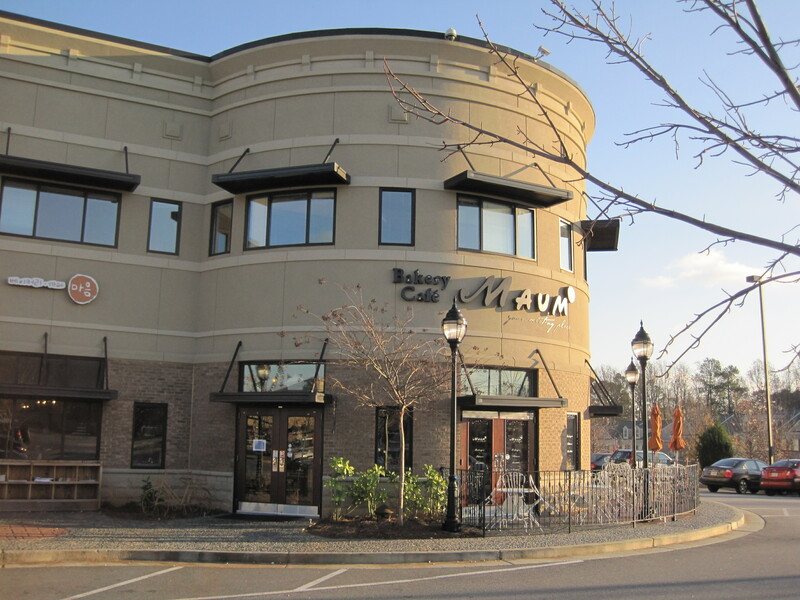 I’ve also wanted for many days to capture the look of the Bakery Cafe Maum “Castle” on Buford Highway. Here are some photos of that eatery. We picked up my mother-in-law and brother-in-law from the airport recently. My brother-in-law will be here briefly, and my mother-in-law is here for an extended stay. She was formerly from Kagoshima Prefecture in Japan, and met my father-in-law (now deceased) some time after the war. They married and stayed married until my father-in-law passed away. As she then had to raise 4 kids by herself on a clerk’s salary, I admire and respect her toughness. In any event, my in-laws told us days in advance that they wanted to go to Cho Wan Korean Buffet. I’ve said before this restaurant is a favorite with my family. Recently, Tasty Chomps reviewed the restaurant, an excellent review with a lot of good pictures. Though this restaurant has some sushi, and various side dishes, to a first approximation, this restaurants is about the meats. You can get chicken, pork, beef, bacon, octopus, and shrimp here. The meat is cooked on your table. Waitstaff does most of the cooking, even if you end up choosing your meats. You can get condiments of various kinds: things like jalapenos, sliced garlic, and lettuce leaves. The leaves are used to wrap meats, and if you want, you can add grilled onions, or cook some of your garlic until it is browned, and add it to the leaf. They have rice in the back, and a couple soups as well. The pickles, of various kinds, are quite good. The waitstaff were doting to my mother-in-law, making sure she had her share of meats, and fetched sauces for her, explaining their use. The lighter sauce in this picture is for bacon, they said, and the darker sauce is for beef. When we left, there was a Volkswagon Beetle in the lot with a pretty interesting pair of head rests. The restaurant was also filling up, and people were walking to the restaurant as the parking lot around the restaurant was completely filled. I have a large, multiethnic family, with people of most races, creeds, colors. And when we are entertaining guests, we keep an eye to places that can both feed everyone and offer value. More members than not like spicy foods, and like a lot of it. And in that vein, back in the day when Bites was an active restaurant we would take my family there. Understand, my wife generally does not like coconut milk or mint in her foods, and she would regularly request to go to Bites. Bites is gone now, replaced by Thooms, and the food, while good, isn’t crafted the way the former Bites owner would do. Eric’s masaman beef dishes were a work of art. But hopefully Tammy and Eric are enjoying their retirement. Toward the end you could see how weary the job would make Tammy. 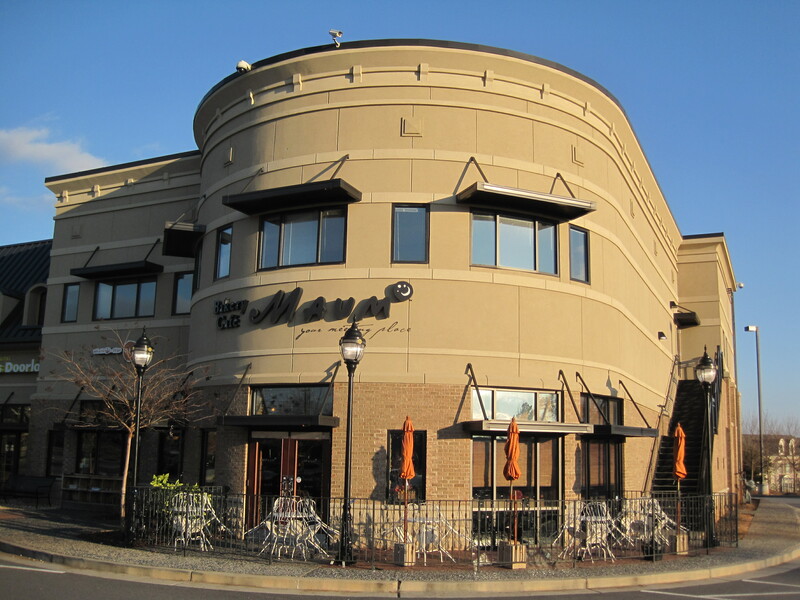 In the strip malls on the south side of Pleasant Hill, just west of the Pleasant Hill I-85 intersection, are a number of restaurants I take seriously. To mention three, there is Haru Ichiban, which I consider to be one of the best Japanese restaurants in town (my mother in law is Japanese. I have a little familiarity with the cuisine). There is Sydney’s, a buffet style restaurant that is sometimes really good and sometimes not. Third, a converted Black Eyed Pea has become one of the more unusual Korean restaurants I’ve seen, Cho Wan BBQ of Duluth. Korean BBQ has been in this town forever, but it was cooked for you. At Cho Wan the meat is all you can eat. You select the meats yourself, you cook the barbecue yourself, at your table. When it opened it was packed. Korean families in tens and twenties filled the restaurant and the average food bill (they had too many bills to hide them) were running about $300.00 – 500.00. I asked relatives in San Francisco, former coworkers in New York City, net-friends in Seattle whether they had heard of any other Korean restaurant using this arrangement. And at the time I heard of no one else doing this. Cho Wan succeeds because it’s a “one of” in Atlanta, and the price is not exceptional if you’re prepared to eat a lot of BBQ. This restaurant is what my relatives from San Francisco ask to go to when they are in town. This is where my sister-in-law celebrated her birthday. This is where my wife celebrated her last birthday. In the price/value equation, this restaurant hits a sweet spot with my family.